The toy very small on the size, but does not mean poor! 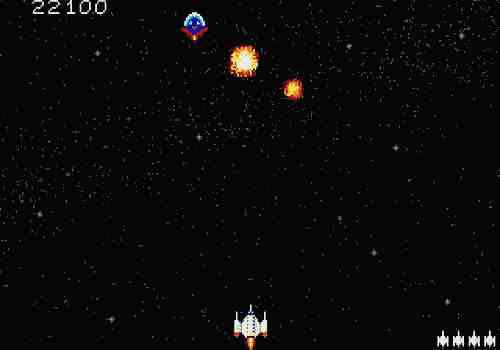 In her you on space ship will be shot from a plenty of unidentified flying objects, to avoid interference with them and leave from their outrigger booms. As soon as you will shoot all objects, you pass on other level of complexity. It is necessary to shoot by the "Ctrl" key. By such plain toys well to raise mood in cold evenings!